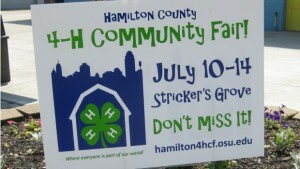 Hamilton County 4H Community Fair – the place to be this week! On Sunday our family spent the whole day (and I mean WHOLE day) at Stricker’s Grove and the Hamilton County 4H Community Fair. We had an awesome time. This is the first year for the 4H Fair at this location and I can’t imagine a more perfect spot. 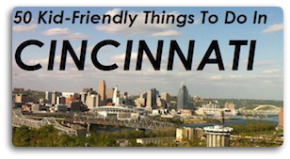 Kids from all over Hamilton County meet up this week to show off their hard work. I met a few of the them on Sunday and they are terrific – articulate and knowledgeable and eager to share what they do and what they’ve learned through their projects. We ran into a member of the Madiera 4H Club, Avery, who was showing chickens, pigmy goats she had raised this past year and had managed to find time to tap a tree and make real maple syrup too! P made friends with Ben, a teenager in his second year of 4H who was overseeing the educational tent where kids of all ages can get up close and personal with farm livestock with the help of 4H Junior Leaders. 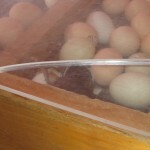 Ben allowed P to go behind the scenes at the Mt. 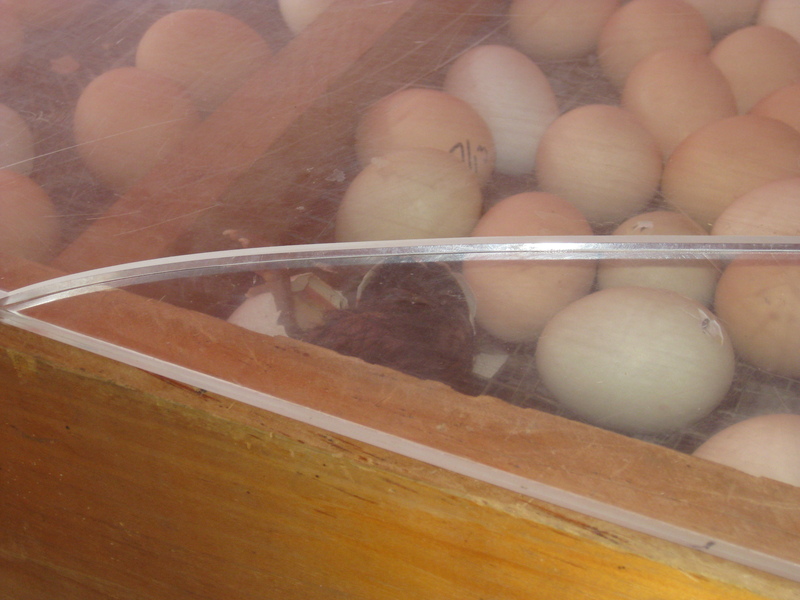 Healthy Hatchery display to see a baby chick hatch – it was amazing for all of us. And in between all this farm fun, we rode all the rides we could, had ice cream, sno cones, corn on the cob, played putt putt – everything that makes a fair so fair-tastic! As well as live music and great food each day. 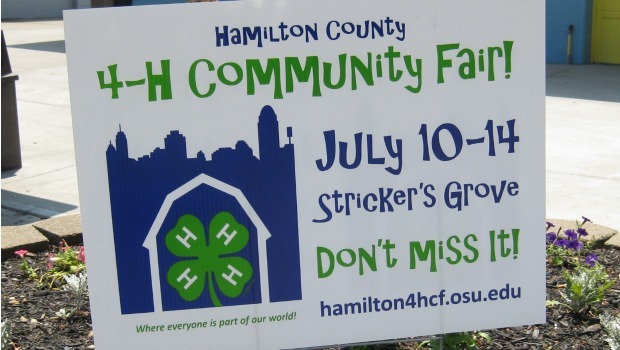 To learn more about Hamilton County 4H, visit their site – it’s a wonderful activity to get involved with giving kids hands-on learning and opportunities.